For regulations specific to your airport, choose your state from the list here. Giving airport rides is a great way to maximize your driver earnings while helping passengers get to and from the terminal on time. If you’re a passenger, check out this page instead. Airport Education: Before giving an airport ride, complete the airport lesson in the 'Tutorials' tab of your Dashboard. Lyft Emblem(s): Keep your Lyft emblem(s) visible at all times while on airport property. If you are at the airport and are not giving a Lyft ride, remove your Lyft emblem(s). Airport Placard: Displaying an airport placard is required at LAX, SFO, OAK, ORD, MDW, MSP, SEA, and ATL airports. If you need a new airport placard, send us a message by tapping 'Contact Support' below. Local Regulations: Review your city’s specific rules and regulations. At certain airports, including SJC, ORD, MDW, BOS, and DEN, you may not enter airport property without additional documents. Waybill: The waybill allows law enforcement officials to see information about your current or most recent ride. *Access your Dashboard through the left panel menu in the app or at lyft.com/drive in a web browser. 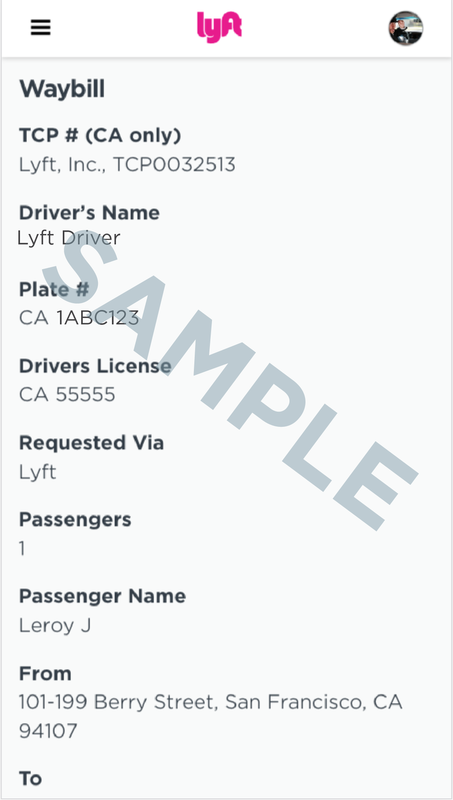 Vehicle Information: Passengers can see your driver photo, car make, model, color, and license plate in their app. Ensure that these are all accurate so passengers can easily spot you. To update your license plate, open your app, tap Dashboard, tap the menu icon in the top left, and select Vehicles & Docs. You can see your vehicle(s) and update your license plate if necessary. If any of your other vehicle info is incorrect, send us a message by tapping 'Contact Support' below. Airport Requests: At select airports, you will only receive an airport request if you are waiting in a designated staging area near or at the airport. You will be able to see your place in the queue in the app. To find out if you airport uses this feature, navigate to your local airport page. Airport Pickups/Drop-offs: At larger airports, passengers will select a specific location within the terminal for where they’d like to be picked up. This will automatically move their pin to an approved pickup location. If your passenger is having trouble finding you or the pickup area, ask them to go exactly where the pin has been placed. Keep in mind that you may have to pick up on a certain level depending on your local airport’s rules. Airport Demand: If your local airport has a designated staging area, you will be able to view the demand at the airport through your app before heading there. This will allow to decide on whether it’s a good time of the day to give airport rides. Clear out your trunk to make room for luggage. Assist passengers with their luggage. Have a phone charger readily available. Use a navigation app to ensure the quickest route. Confirm the passenger’s terminal before dropping off. If your passenger is a tourist, share some recommendations for some fun local activities they can do during their visit.